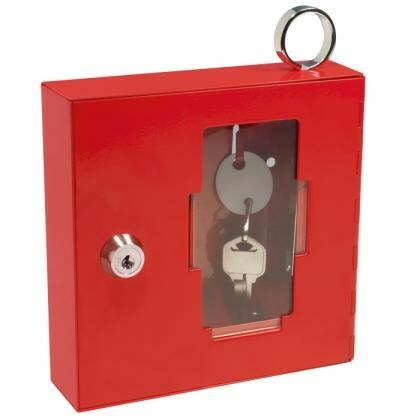 Red, Steel, 6" x 1.6" x 6"
Durable steel key box houses restricted door key access compartment that can hold one key or a small set of keys. Easily seen bright red steel box with hinged door. In an emergency use the integrated hammer with attached chain to break the glass panel and gain access to contents. Two pre-drilled holes and mounting hardware included for easy installation. 6" x 1.6" x 6"
5.25" x 1" x 5.75"